Cytochrome c oxidase (EC) [PUBMED:6307356, PUBMED:8083153] is an oligomeric enzymatic complex which is a component of the respiratory chain and is involved in the transfer of electrons from cytochrome c to oxygen. In eukaryotes this enzyme complex is located in the mitochondrial inner membrane; in aerobic prokaryotes it is found in the plasma membrane. The enzyme complex consists of 3-4 subunits (prokaryotes) to up to 13 polypeptides (mammals). Subunit 2 (CO II) transfers the electrons from cytochrome c to the catalytic subunit 1. It contains two adjacent transmembrane regions in its N terminus and the major part of the protein is exposed to the periplasmic or to the mitochondrial intermembrane space, respectively. CO II provides the substrate-binding site and contains a copper centre called Cu(A) (see INTERPRO), probably the primary acceptor in cytochrome c oxidase. An exception is the corresponding subunit of the cbb3-type oxidase which lacks the copper A redox-centre. Several bacterial CO II have a C-terminal extension that contains a covalently bound haem c.
The N-terminal domain of cytochrome C oxidase contains two transmembrane alpha-helices [PUBMED:8638158]. For those sequences which have a structure in the Protein DataBank, we use the mapping between UniProt, PDB and Pfam coordinate systems from the PDBe group, to allow us to map Pfam domains onto UniProt sequences and three-dimensional protein structures. The table below shows the structures on which the COX2_TM domain has been found. 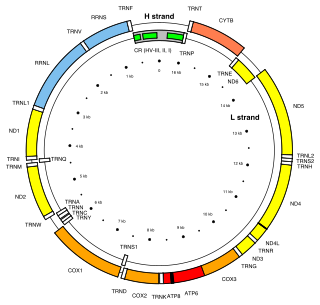 There are 115 instances of this domain found in the PDB. Note that there may be multiple copies of the domain in a single PDB structure, since many structures contain multiple copies of the same protein sequence.